Only true engagement drives genuine behaviour change. We combine deep insight, scientific expertise and novel thinking to stimulate engagement. We are emotive. the healthcare communications agency, where engagement is everything. emotive. is an award-winning healthcare communications agency working with leading global and EMEA companies in life sciences including medical device and rare disease specialists.Our in-house scientific, creative and development teams stimulate engagement; using core insights to build strategic plans leading to the development and delivery of tactical programs. These are embedded with novel thinking, often utilising new technologies that address traditional challenges and motivate behavior change. At a community level, we promote engagement in science by students through our sponsorship of the emotive. science lab and pre-university prize at a UK girls school. We are also developing pro-bono awareness activities and raising funds for Jo’s Cervical Cancer Charity. Following a busy year and with a number of new Global and EMEA account wins including two pre-launch products for rare diseases, emotive has strengthened the medical team with the addition of Kate Haynes as Scientific Lead, and Talia Coren as Associate Medical Writer. emotive is pleased to welcome our new graduate recruits today to start their careers in medical communications. emotive. welcomes new Creative Director, Rob Sampson. Two new experienced medical writers join the medical writing team at emotive. New Head of Talent joins emotive. A fast-growing client services team at emotive. emotive. expands their client services team with a number of new hires. Scientific engagement is one of the three core areas of expertise at emotive. and last week we were delighted to attend the official opening of the 'emotive. lab' at Beaconsfield High School for Girls, by Her Royal Highness, the Duchess of Kent. Following a number of new international client wins, Dr Gill Boucher has joined the senior leadership team at emotive. emotive’s reputation for delivering highly engaging award-winning innovation in science-led healthcare communications continues to be reinforced with the news that Virtual Valve has been shortlisted for two awards at the PMEA Awards 2016.
emotive. is pleased to announce the continued growth of our Client Services and Medical Writing teams, by welcoming Aki Okazaki PhD and Ian Seymour PhD. emotive’s Summer of Organised Fun saw the team venture to an escape room in London to take part in a bank heist and steal the crown jewels! All in the name of team building and fun of course. Following his election as a member of the PM Society Committee last year, emotive’s MD Chris Edmonds has now been appointed onto its Executive Committee. emotive virtual reality medical education project gains second shortlisting at the 2016 Communiqué Awards, for the Innovation in Healthcare Communications category. Read more here. Last week, our Client Services Director Adam Boucher set off on an adventure. A pilgrimage, to be precise. Read more here. Virtual Valve, an emotive project for Edwards Lifesciences, is shortlisted for Excellence in Communications via a Live Event or Stand-Alone Activity category at the Communiqué Awards 2016. Read more here. emotive continues its winning streak with 3 Golds and a Silver for two fantastically effective science and technology-led programmes at last night’s PM Digital Awards, to head the agency table of winners. An exploration of the variety of ways in which virtual reality is changing the face of healthcare and medical education, including a look at how it is helping researchers to understand the factors that influence a doctor’s response to ethically challenging prescription situations. emotive appoints Chloë Duval as the new Head of Copy, and Elise Payne joins as a Team Assistant. emotive’s Experience Director Andy Hastie reports on CES 2016 and technologies that could lead to better patient care. Designed by emotive for Johnson & Johnson Vision Care, the Eye Education app wins a Bronze in the Best Use of Mobile Learning category at the E-Learning Awards 2015.
emotive’s health economics and outcomes research team has been strengthened with the appointment of Trishal Boodhna, a published health economist. With six pitch wins in the last six month, including a new Global account, emotive expands the team with two new recruits: Cécile Charrie as an Account Manager and Helen Moyes as an Account Executive. emotive have moved to a brand new office in central London. As the recipient of Communiqué Awards in both 2013 and 2014, emotive are delighted to announce their sponsorship of both the patient and professional Writing Excellence Categories. Chris Edmonds, MD of emotive, has joined the PM Society as a new Committee member. Adam Boucher joins from Novo Nordisk as Client Services Director, alongside an internal promotion for Neil Kumar. emotive is pleased to announce the appointment of Lucy Allen as Account Executive – an expansion that strengthens the emotive accounts team, ensuring that all of our clients receive the best in industry service. emotive is very proud to announce that our virtual reality project ‘Diabetes Voyager’ for Novo Nordisk has collected a Silver at the prestigious 2014 Rx Club Awards. emotive is very proud to announce that our interactive workshop ‘Decisions in Time’ (DiT), developed for Novo Nordisk, has won the award for ‘Excellence via Digital/Social Media’ in the Channel Excellence category at the 2014 PMEA awards. emotive is delighted to announce that Decisions in Time has been judged a finalist in three categories at the prestigious Pharmaceutical Marketing Effectiveness Awards 2014.
emotive is delighted to announced that our client Adam Boucher, our nomination for the 2014 Digital Pioneer award at the PM Digital Awards has been shortlisted as a finalist. emotive nominated in five categories at the PM Society 2014 Digital Media Awards! emotive is happy to announce the appointment of Aaron Joshua Barroso to the role of Digital Marketing Manager. emotive is delighted to announce an official collaboration with Packer Forbes – a specialist healthcare communications company. The hotly anticipated Diabetes Voyager was recently unveiled to delegates at Diabetes UK. 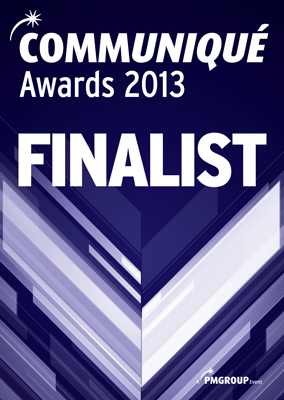 Following on from a win and highly commended at this years Communique awards, patient support programme MyAsthma is a finalist in two PMEA categories. Former Creative Director of Havas Life, Malcolm Badger will lead emotive’s growing creative team. 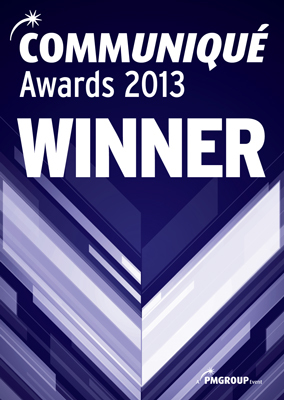 Developed by emotive for GSK, MyAsthma won excellence in patient programmes at the Communiqué awards. Specialist healthcare agency Replay Digital appoints Andy Hastie to head up their UX, technical and creative departments. "emotive. is my favourite agency. No other company is as committed to their clients, they’ll never let you down. "